He's got okra! He's got cantaloupe! 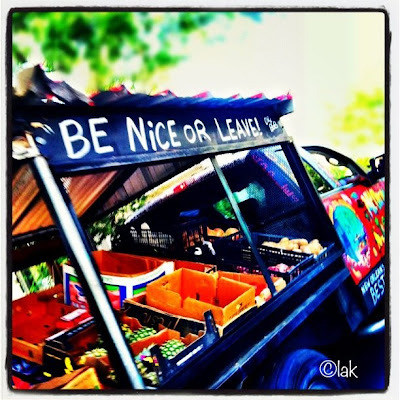 In yesterday’s blog about my front porch, one of the sights and sounds in Uptown New Orleans is the sound of Mr. Okra, Arthur Robinson, a roving produce vendor who patrols the streets of Uptown and other parts of New Orleans in an old Ford truck packed to the top with an organized collection of seasonal fruits and vegetables. I can hear his deep, baritone voice coming from the P.A. system mounted in his truck from blocks away. 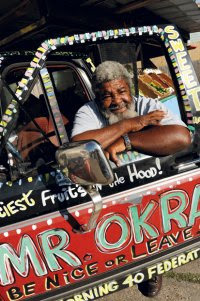 Mr. Okra has become an iconic part of the New Orleans scene. His sound and slow paced, parade-like puttering along our street is welcome any time of the year. 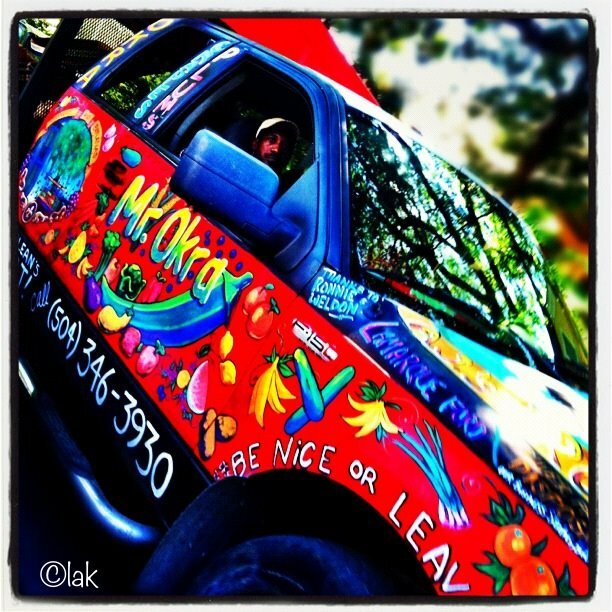 Mr. Okra is just one of many sights I can observe sitting on my front porch. Watch another Mr. Okra video here! @ Ginger--- Something you can do in your retirement days!!! Oh, how I miss living in New Orleans!! !